Tea Lax is a natural herbal decoction based on an ancient herbal formula. Tea Lax's natural herbal blend improves the metabolism, calms the nervous system, naturally cleanses the body, turns fat into energy, relieves bloating, and aids the digestive system. 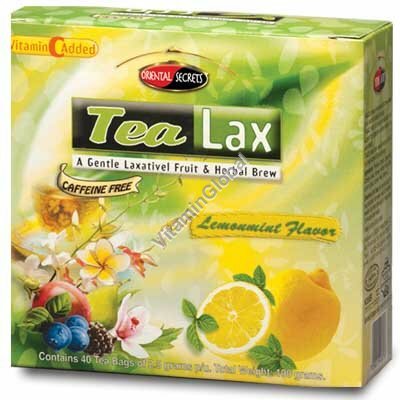 Tea Lax is made from natural herbs, with no preservatives or artificial colors, and consequently has no side effects. Ingredients: Persian Lemon, Mint, Caraway, Anise, Fennel, Nettle, Plum Powder, Tamarind, Lemon Grass, Lemon rinds, Vitamin C.
Directions: Put one tea bag in a mug and add hot water. Wait 3-5 minutes, sweeten to taste. It is recommended to drink up to 3 cups a day,10 minutes after meals.